Student protesters are under fire today by many netizens because of their way to speak against the government. Reports say that they walked out from their classes just to attend rally. 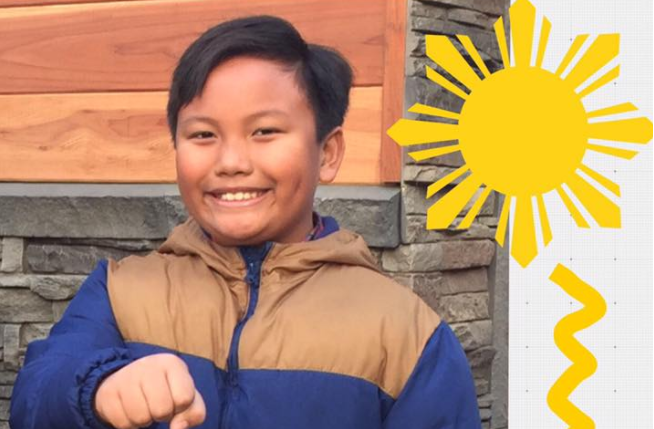 Do you remember the Fil-Am boy who lives in California that wrote a letter to President Rodrigo Duterte to ask for a video greeting from him for his class? This kid wrote an open letter to the president on October 2017, saying how proud he was to be a Filipino and that he admires the president very much. He then asked if the president can record a video for him and his class. Andre Esteban got his video greeting from the president and did not stop there. Well, he continued his support to the president and even made a Facebook page for his advocacy. The current rallying of the students in the Philippines against the government is alarming for Andre. He sent out a message to the Filipino youth who are rallying against the government. He said that if these youth wants change then it is better that they start with themselves. He said that instead of rallying or organizing walk out events in their campus, U.P activists should do productive things that would help the community and other people. Andre suggested that activists might consider planting trees or teaching homeless kids around the streets of Manila than wasting their time attacking the government. The kid urged them that they must show the world that they really love the Philippines by doing something that would contribute to the country. Ako po si Andre ang batang Pinoy na taga Fresno California. Lumaki po ako dito na Americano pero Pilipino po ang puso at isip ko. Mahal ko po ang Pilipinas at ang mga Pilipino. May message po ako sa mga students na nag rarally against the government. Ang pagbabago na gusto mo ay dapat magsimula sa sarili mo, gawin mo ito para sa Pilipinas at sa mundo. Start with simple good deeds like helping clean the streets and participating in going green--plant some trees or maybe teach out of school homeless kids around Manila how to write and read instead of wasting your time rallying and shouting against the government. Show the world that you are a Filipino and love your country by doing something worthy in your community. DON'T be like parasites that destroy. Be a volunteer for change. Help build a better Philippines.